This week Adam De La Montanya and Tyler Laverty from Third Street Aleworks are in the studio for Brew Ha Ha with Steve Jaxon, Mark Carpenter and Herlinda Heras. Herlinda was in Nashville a few weeks ago for the Craft Brewers Convention and World Beer Cup. She was so excited to see Third Street Aleworks win a Gold Medal with their Annadel Pale Ale. 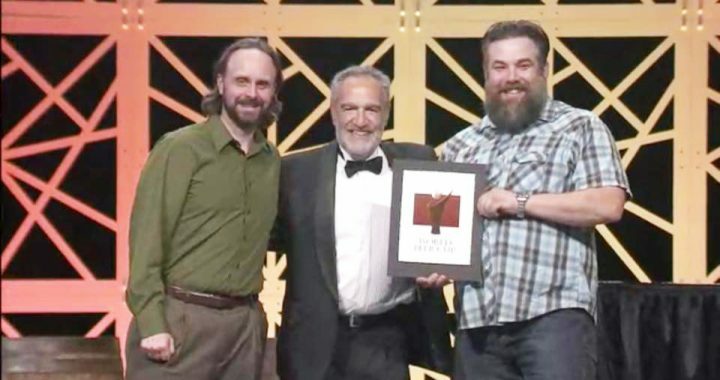 Herlinda reports that, “…the place was going bananas for Santa Rosa for all kinds of reasons,” but especially for winning these awards. Steve asks his guests to tell the story of the brewery. Their owner Todd Hendrick wanted to have an establishment where he could bring his friends. It’s located in downtown right on Third Street. It’s a great restaurant and Steve asks them to describe the brewery. Tyler tells how they make all their beer on site, many varieties. The Annadel Pale Ale has won many awards. Mark points out that it says a lot for them to win so many medals because there is so much competition. Herlinda mentions that the World Beer Cup has judges who are 75% from outside the country. People from all over the world love their beer. Adam says it’s nice when someone from England compliments them on their beer. They also taste their English style Pale Ale, true to form with English hops and a good alcohol content, according to Mark. He says that pale ales in England would be around 4% alcohol and this is about 5%. Next they taste their Cucumber Gose brew, which is like eating a salted cucumber. They hand process all the fresh ingredients including the cucumbers and passion fruits. They peel and seed the cucumbers and puree them before adding them. Herlinda points out that it pairs very well with oysters. Brandon Gunther from Rocker Oysterfellers is also in the studio today. 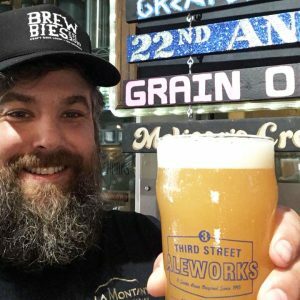 One beer he makes is a hazy beer and Mark remembers back in the day they couldn’t sell a hazy beer but today it’s a style. Tyler tells his history, he was an analytic chemist in the wine industry and a home brewer. He took the UC Davis brewing course, won a competition and then was hired at Third Street. He studied under the great Charlie Bamforth at UC Davis. Mark says that having a background in chemistry is a great advantage for being in the brewing business. Mark goes back to the Cucumber Gose beer and mentions the sour flavor. He asks Adam and Tyler how they soured the beer. They “kettle sour” the beer. They brew on Friday, boil it briefly to sterilize, then cool it, then they introduce a lactic acid culture on Friday, then by Monday they have a nice sour beer to finish with cucumbers. Mark points out that souring in the kettle is smart, because you kill the bacteria when you boil it, which means you won’t have bacteria anywhere else in the brewery. Brandon Gunther brought some oysters which go very well with the Cucumber Gose. ← Bitter Girl Bitters and Petaluma Drinks!